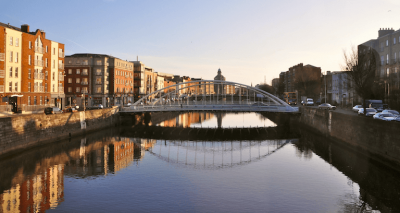 We previously released an article summarising some of our favourite activities to do with kids in Dublin. However, the city also offers a great many children’s activities that can be done for free. In this list, we’ve highlighted a few of our favourite activities, as well as some side tips to make the most of your visit. 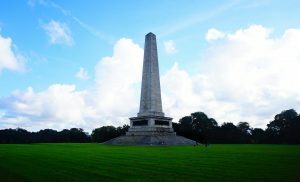 Phoenix Park is hard to miss, as it’s the largest public park in Europe. It is the perfect family break from the city life. The park is located just 2 kilometres away from the city centre and is easily accessible by public transport. Deerfield Residence – The official residents of the American ambassador. The Papal Cross – A 35 metres high, Latin cross that was erected for Pope John Paul II 1979 visit. 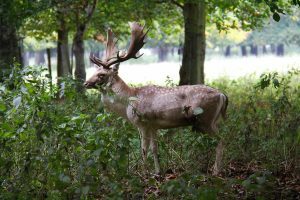 There is, of course, a lot more to see, and you can find all the details on the Phoenix park website. Nothing makes kids happier than seeing a herd of deer in the park. Unfortunately, it isn’t something you can plan. Don’t cycle or run too fast towards the herd. They are wild animals and can be unpredictable. Phoenix Park authorities advise keeping a distance of 50 metres. Note that bray is a rock beach. If you’re looking for sand, you may want to check out Portmarnock or Donabate beach in the north. If your children are true hikers, you can consider climbing to the top of Bray Head for the view. The hill is 241 metres high and you will be rewarded with an unbelievable view of the area. 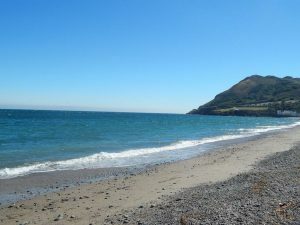 Another popular option is the Bray cliff walk, which goes all the way to Greystones. However, it’s 7 kilometres long and takes around 2 hours to complete. This can be a lot of walking for children and bikes aren’t an option. 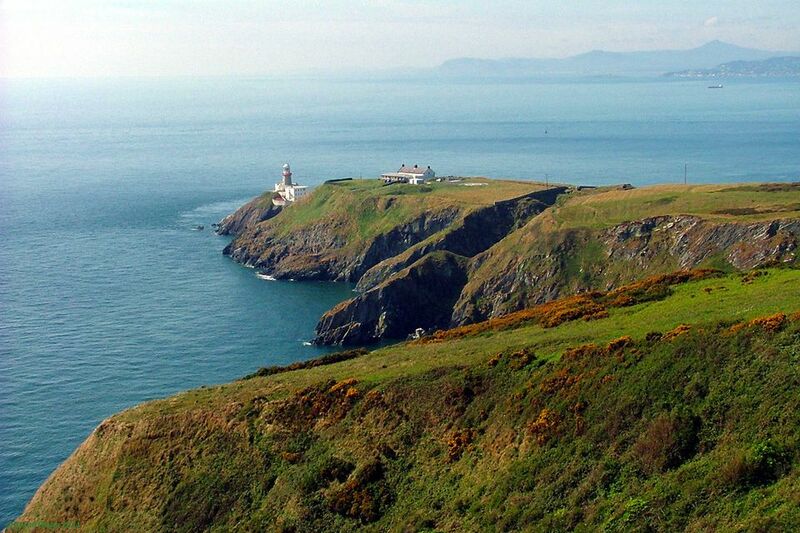 If your kids like climbing and jumping from rock to rock, Howth will be a memorable day out. You can easily access the peninsula with the dart for a blast of fresh air. The Howth cliff walk is a very popular 6 km walk that goes around the town but it can be a bit much for kids. For there you will get a great view and your children can have an adventurous time climbing among the boulders. When they run out of batteries, you’re just a short way back to the starting point. Another popular activity is to get a boat to Ireland’s Eye. It’s a small picturesque island where beautiful birds go to find refuge. It’s a great mini-adventure for kids but it will cost you 10 to 15 euros. For a more secluded visit, take a detour to Howth Castle. The inside is still a private residence but the grounds are open to visitors. For a small fee, you can also enter the transport museum, which is located near the castle. Don’t expect anything fancy. It’s more of a garage full of old transport vehicles. If you have a child who is in love with fire trucks, consider dropping by. For an exotic family outing, plan an afternoon at the National Botanic Gardens. It’s located just 3 kilometres from the city centre and accessible by bus. The gardens contain incredible collections of plant species from all over the world. Trigger you senses as you go from greenhouse to greenhouse and experience different smells, temperatures and view the diversity that nature has to offer. 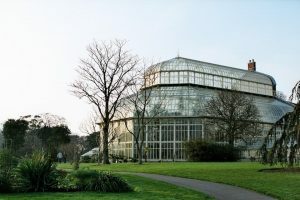 The botanic gardens are also a great place for children to run around and blow off some steam. 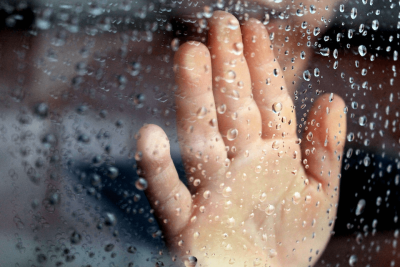 Why not organise outdoor activities, such as a hide & seek with your kids while you are there. The opening hours change for winter to summer so double check websites before going. 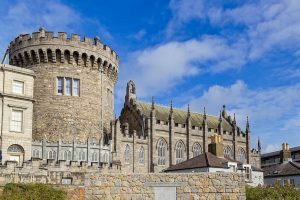 The Dublin Castle, located in the very heart of Dublin City, is a tricky one because it’s “kinda” free. Some of the buildings have free visits. The Garda Museum, the museum of the Irish police force, and the revenue museum, the history of Irish smuggling & taxes, are both free. In addition, you are also free to wander around the outside of the castle. However, to visit the actual inside of the castle, you will need to book a guided tour. They charge 24 euros for families of up to 5 kids. This won’t keep you busy all afternoon but is a fun family activity to drop in and see. 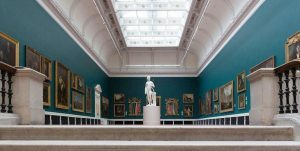 Since the day it opened, the National Gallery of Ireland has been free. However, for the full kid’s experience, we do recommend getting their children’s audio guide. It will make a huge difference. 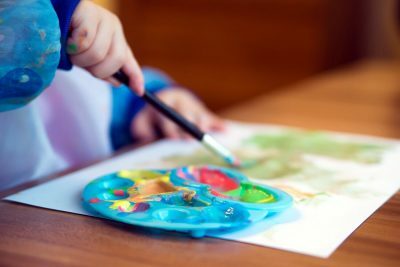 The National Gallery also offers a broad variety of kid activities centred around creativity and learning. 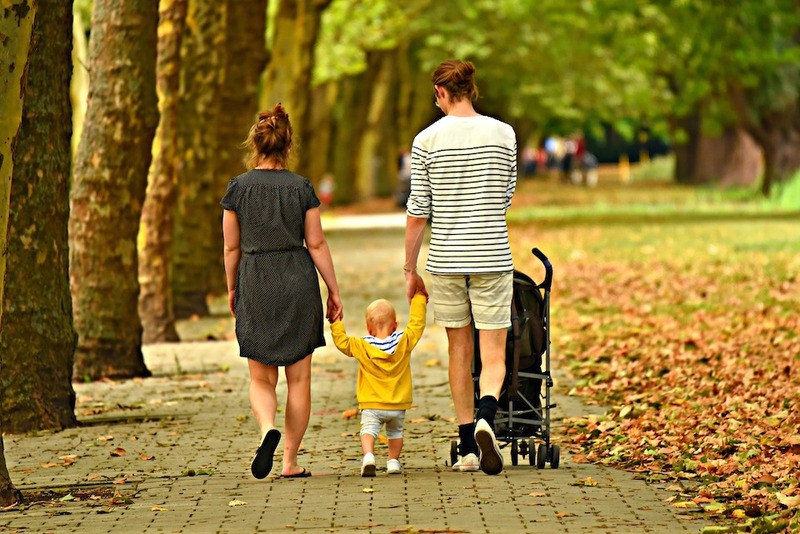 We hope this list will keep you and your family busy over the weekends to come. We’ve skipped over a lot of the museums that offers free entries for kids. If that is something you’re interested in, it’s usually indicated on their websites.